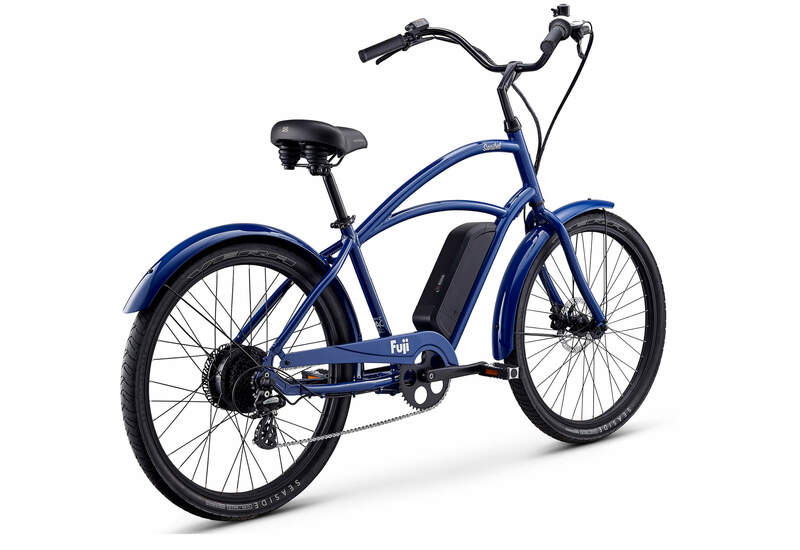 The Sanibel is a laid-back cruiser that will get you to your destination without breaking a sweat. 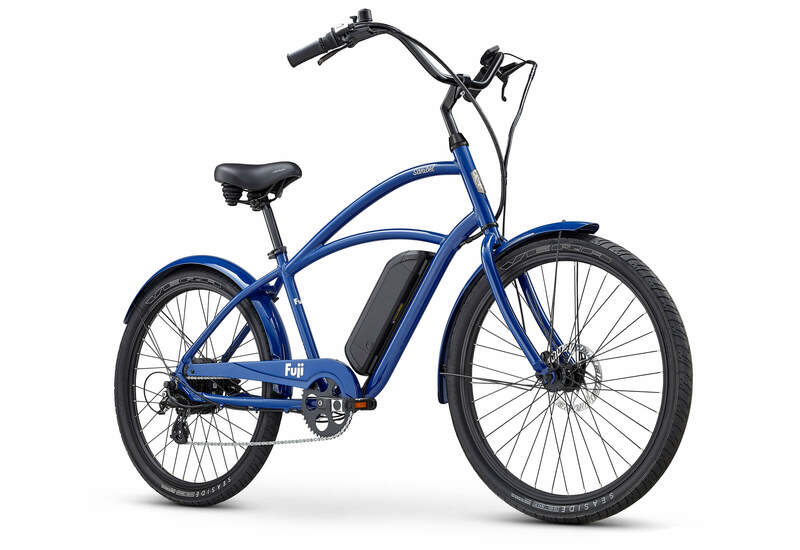 The rear hub is equipped with a pedal-assist motor that amplifies your efforts making your ride a breeze. 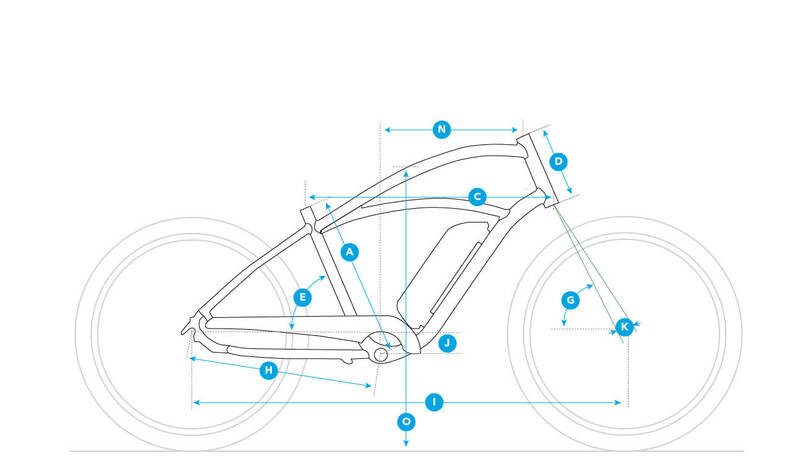 The pedal-forward frame designs allows riders to stay seated and comfortably place their feet on the ground when stopping, creating sure footed stability. Laid back, classic cool meets modern-day technology to deliver what’s sure to be your new favorite ride. "Pedal-forward frame design allows riders to comfortably place their feet on the ground while seated for easy start and stops. Rear hub pedal-assist motor with 250 watts of power. Range of 20 to 30 miles depending on factors such as assist mode, terrain, and total vehicle weight. Pedal assist support up to 20 mph. Disc brakes for improved stopping power and control. " 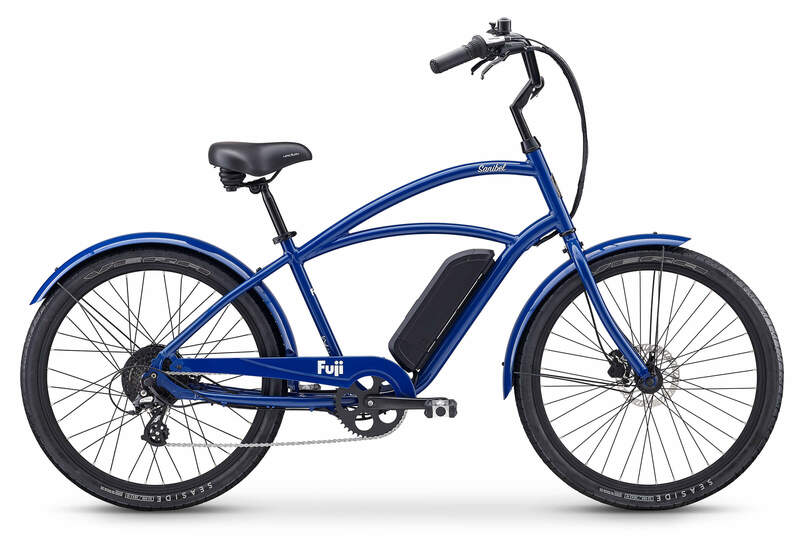 Fuji's pedal forward frame design is a patented frame geometry that allows the rider full leg extension when pedaling but also the ability to put both feet on the ground while seated providing increased confidence to riders when starting and stopping. A premium pedal assist electric motor that amplifies the energy you put into the pedals. 5 modes let you select the amount of assistance you want with assisted speeds up to 20m/h or 25km/h, including a walk assist mode. Fuji alloy 6 bolt disc QR front / Bafang - 250W rear motor hub 6 bolt disc nutted rear hub / 13g stainless steel spokes / Fuji 36H Alloy Cruiser rims, 26"